Extended and extreme drought conditions, together with rapidly escalating food prices, have persuaded the KwaZulu-Natal Department of Agriculture and Rural Development (KZN DARD) to implement a plan to promote goat production and consumption in the province. 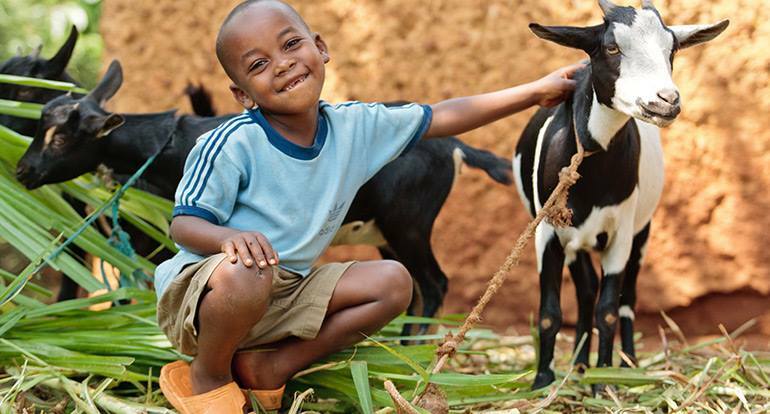 The KZN DARD was hoping that its five-year master plan for domestic and commercial goat production would help achieve some resilience to the effects of climate change and improve food security, particularly among KZN’s poor. The plan was launched in the Mphelankani area of uMsinga recently, officially considered as one of the most impoverished areas. “To introduce the people of the area to commercial goat farming and to change their mindset towards goats [as a viable source of income and food], the department held an expo to showcase the different breeds of goats from in and around South Africa. There was also a cook-off by local goat farming co-operatives to see who could prepare the most delicious goat meat dish,” said KZN DARD spokesperson, Lelethu Manentsa. Speaking at the opening of the expo, the MEC for agriculture in KZN, Cyril Xaba, said that experts were increasingly telling the world to practise “climate-smart agriculture”. “We’re getting smart with goats and we have a five-year master plan to put goat farming on the map. Goats do better in drought conditions and they need much less feed than cattle. They can browse on trees if grass is not available. Goat farming is one way of practising climate-smart agriculture,” Xaba said. Pilot goat farming projects would be launched in uMsinga, Nkandla, Nongoma, Jozini, uMhlabuyalingana, and Hlabisa, as these areas of KZN had been hardest hit by the drought, he said. Not only was goat meat already popular in many parts of the world, it was seen as a healthier alternative to beef and pork, Xaba said. Saudi Arabia, where goat meat is a delicacy, had already approached the government with a request for a supply of one million goats per year. The export value to this country alone could be more than R2 billion, Xaba said.